PTC Inc., a global software company from Massachusetts, US, announced that it acquired Frustum Inc., an advanced generative design software company based in Colorado. The $70 million deal will help PTC to use Frustum’s AI & generative design technology to expand its CAD portfolio. 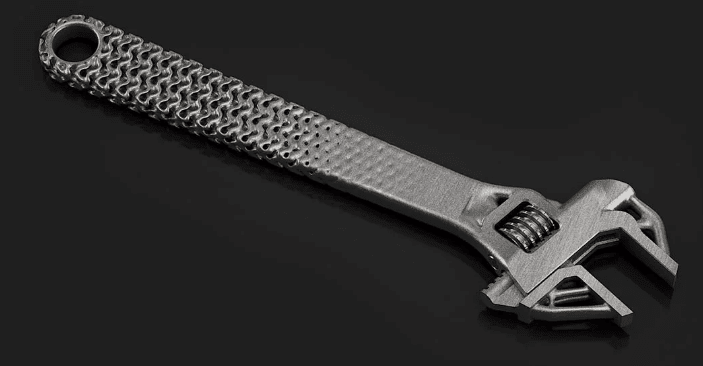 Above: Intelligent lattice generation/Image Credit: Frustum Inc.
Frustum’s technology for generative design is a transformative addition to the PTC Creo portfolio. Its capabilities will further enhance & expand the capabilities of PTC Creo allowing engineers and designers to reimagine the next generation of products. The Colorado-based software company offers patented desktop and cloud-based engineering software solutions that enables designers and engineers to leverage powerful AI capabilities that result in high-performance, next-generation product designs. Frustum will gel perfectly well with PTC’s ANSYS capabilities so Creo will be able to recommend design approaches using generative design, guide the user through the iterative design process using ANSYS Discovery Live, and ultimately validate the full product design at scale using the broader ANSYS Discovery suite. With these capabilities embedded in Creo, engineers will have unmatched capabilities to rapidly drive product innovation. Generative design is poised to be the holy grail of the designing community which will drive the 3D printing capabilities. The true potential of 3D printing can only be utilised if it is incorporated with generative designing. Autodesk is a frontrunner in the technology but PTC is also now enhancing its capabilities in the field. Frustum’s technology depends a lot on its powerful AI component that learns, evolves, and ultimately performs key tasks like providing feedback on the designs, optimising designs, automating the testing outcomes, and much more. About PTC: PTC helps companies around the world reinvent the way they design, manufacture, operate, and service things in and for a smart, connected world. With PTC, manufacturers and an ecosystem of partners and developers can capitalize on the promise of the Internet of Things and augmented reality technology today and drive the future of innovation.